The October 10 board meeting was held at Swan Hills School and trustees had an opportunity to learn about some of the unique programming and benefits offered to the school’s 211 students. Principal Slade Sekulich shared ways the K-12 school seeks to provide a wide range of programming and benefits, and works with students to identify their interests. An example of this is their one-week Career & Technologies Studies (CTS) / Career & Life Management (CALM) course at the Palisades Centre in Jasper National Park. Because they are a small community school, students have a chance to get to know the strengths of their classmates and build on that throughout the years. PHPS to pilot stakeholder engagement tool – Stay tuned for a chance to try it out and provide your input on the division-wide Student Citizenship Awards! 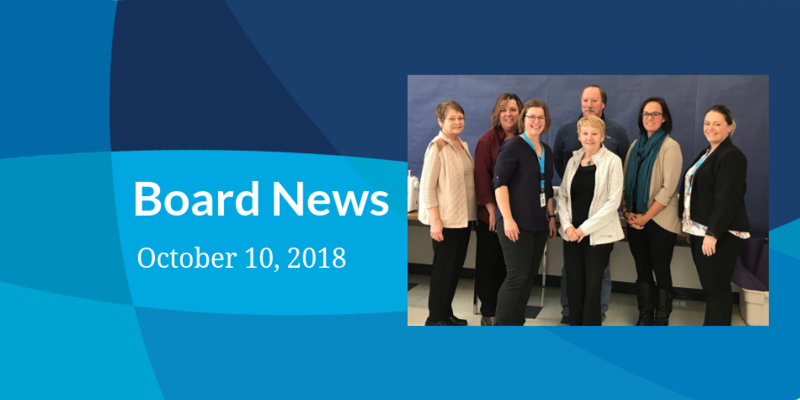 The next school board meeting is on Wednesday, October 24, 2018, starting at 9:30 a.m. at the PHPS Regional Office in Barrhead starting at 9:30 a.m. Members of the public are welcome to attend.